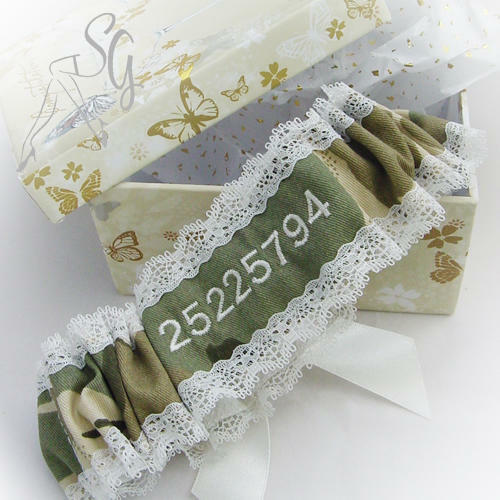 Green wedding garters, so popular again with the lush green foliage themed weddings and military brides too! Here are a few designs made to order. I have Fabrics and ribbons in sage, mint, teal, forest green, etc just ask.